Three months of Bible readings to help you investigate Mark's Gospel, Numbers, Deuteronomy and Ephesians. 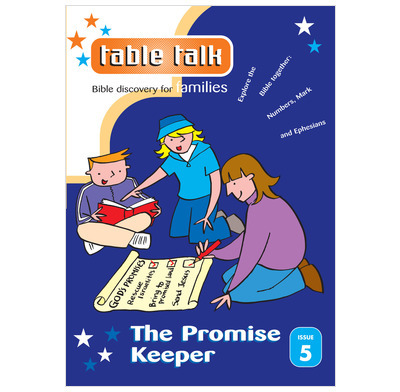 This continues the table talk series , which we use for a short 5-10 bite size bible study each morning before school. Our kids enjoy the stories and guided activities which require minimal set up and it gives us a good bible based start to each morning. We started this when the children were 7 and 5 and they still enjoy it now, 2 years on.